High efficiency furnaces from Greeley Furnace installed to factory specifications by highly trained, NCI & NATE-certified technicians can reduce your energy costs and make your home more comfortable! 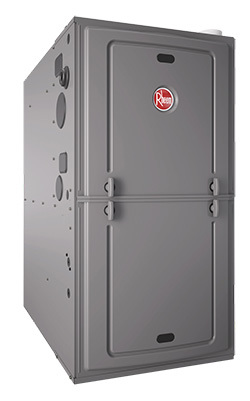 We Are a Rheem Pro Partner Top Contractor, an elite independently owned heating and cooling contractor that strives to improve the standards for HVAC service and installation. 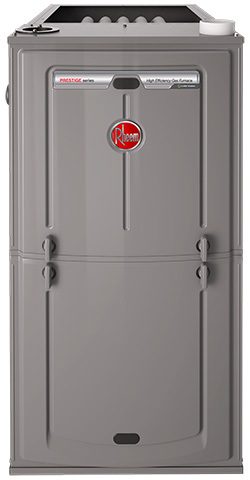 As a Rheem Pro Partner contractor we have an extensive knowledge of Rheem products and the industry in general and make customer satisfaction the #1 priority. A furnace installed with variable-speed blower motor technology helps with your comfort and energy bills. This feature ensures your home receives better air flow required to keep your family comfortable. Besides providing exceptional comfort, this technology also saves you money on your energy bills because the efficient variable-speed motors consume much less electricity than standard furnace motors. Two-stage furnaces are designed to operate like two separate furnaces and maintain more consistent comfort levels throughout a home. The first stage of the furnace will run at 60% of its heating capacity. This provides longer run-time which gives more efficient operation, much like highway vs. city gas mileage. Most of the time furnaces will start in the first stage (low heat) to meet the heating demand. This reduced capacity is enough to warm a home on mild winter days. When temperatures drop, the furnace advances to the second stage (high heat) which is 100% capacity to meet the demand for heat when needed. A modulating furnace with variable speed blower is the very best furnace available in terms of operating efficiency, even distribution of heat, quiet operation, and comfort level. A modulating furnace has many stages and varies its output from 40% to 100% based on demand, run-time history and potentially outdoor temperature.